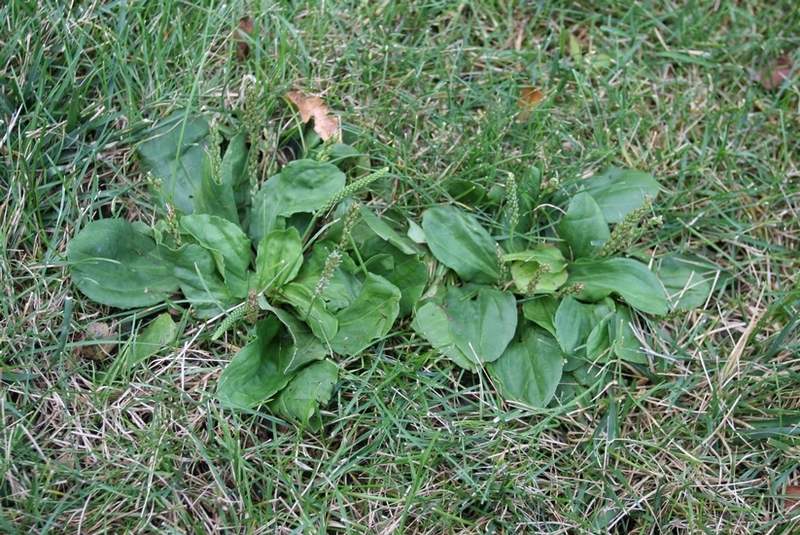 Perennial from a basal rosette with broad oval leaves. 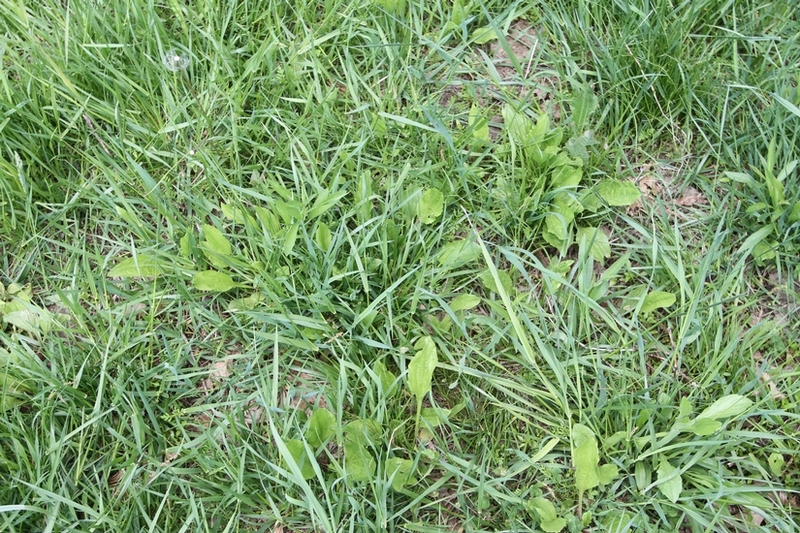 Found throughout the United States, primarily a weed of turfgrass. Smooth or slightly hairy, oval to elliptic, with a waxy surface and veins that are parallel to the margins. Margins are untoothed and sometimes wavy. A 2-celled oval capsule, 3-5 mm long, that opens by a lid around the middle. 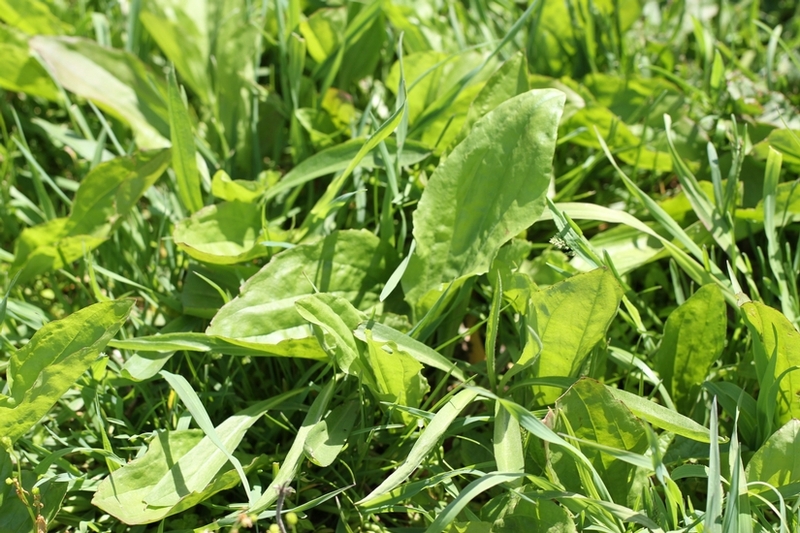 This weed may be confused with Blackseed Plantain (Plantago rugelli) that is also found in the eastern United States. 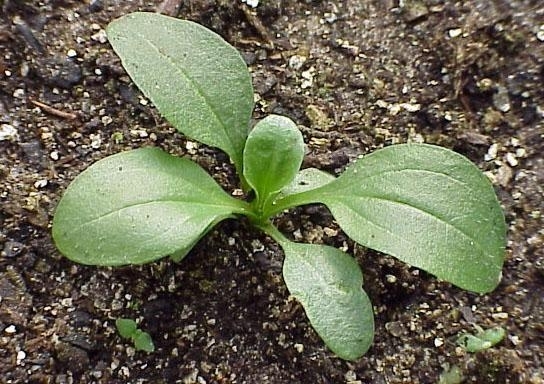 Blackseed plantain has a red or purple coloration at the base of the petioles that is less often found in broadleaf plantain. 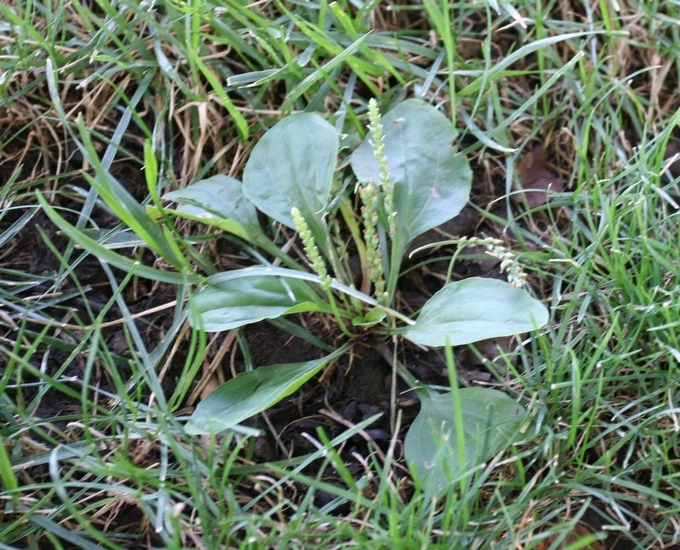 Additionally, the capsules of blackseed plantain are cylindrical and split below the middle, while the capsules of broadleaf plantain are egg-shaped and open by splitting around the middle.